Do you want to know whom you need to worship, how will be your heath and how to gain more wealth, do check out on birth date based prediction. From the Sum of your Birth date, you can predict your future. The first number is 1, which is considered as icon of Sun. A person who born on 1, 10, 19 or 29 dates his radix would be 1. This numbers have Sun’s energy. Usually, their health remains good. However, they face bone, heart and eyes problem. In this case, you should worship Sun. Also, take care of your health in January, October and December month. 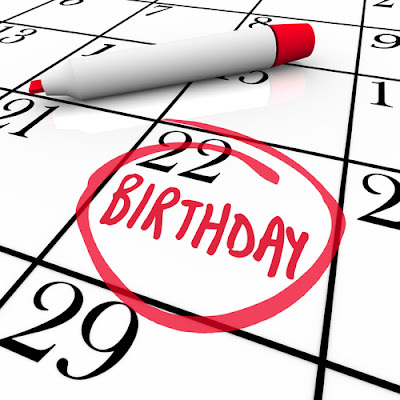 For radix 2, the birth dates would be 2, 11, 20 or 29. They relates with Moon. They face breathing, cold-cough and hormones problem. Sometimes, they suffer with emotional problem. In this case, you should worship lord Shiva. Also, take special care of your health in January, February and July moth. For radix 3, the birth dates would be 3, 12, 21 or 30. They relates with Jupiter. They suffer with stomach, obesity and diabetes. You should follow good diet for good health. You can also worship lord Shiva. Also, take special care of your health in February, June, September and December. For radix 4, the birth dates would be 4, 13, 22 or 31. They relates with Rahu. They face breathing, skin and depression. Sometimes, they face bizarre diseases. In this case, one should worship Rahu and follow piousness in daily routine. Also, take special care of your health in January, February, July, August and September. For radix 5, the birth dates would be 5, 14, or 23. They relates with Mercury. They might face skin, nerve and allergy problems. Sometimes, they might face ear, nose and throat problem. In this case, one can do Pranayama and take walk. Also, worship lord Ganesha. Also, take special care of your health in June, September and December. For radix 6, the birth dates would be 6, 15 or 24. They relates with Venus. They might face diabetes, eyes and hormones problem. They also face weight problem with aging. In this case, they should do fast for good health. You can also wear silver. Also, take special care of your health in May, October and November. For radix 7, the birth dates would be 7, 16 or 25. They relates with Ketu. They might face urinary disorders or blood disorders. Sometimes, they might face bone and skin problems. In this case, one should regularly visit pilgrimage for good health. Also, worship lord Shiva. Also, take special care of your health in January, February, July and August. For radix 8, the birth dates would be 8, 17 or 26. They relates with Shani. They might face neuro, urine or eyes problem. Also, take care of your skin and injury. In this case, one should worship lord Hanuman for good health. Also, wear iron ring. Take special care of your health in January, February and December. For radix 9, the birth dates would be 9, 18 or 27. They relates with Mars. They might face blood disorders, accident or surgery. Also, take care of high blood pressure. In this case, one should worship lord Hanuman for good health. Take special care of your health during all the twelve months.